SME Loan Guide: How To Choose The Best Business Loan? Home Business Ideas Finance SME Loan Guide: How To Choose The Best Business Loan? SME loan is an ideal option for business owners who are facing a cash crunch. There are a number of online lenders who offer SME loan online and you can apply for business loan online in India. This blog talks about how you can choose the best SME loan – the things to keep in mind availing an SME loan. Small and Medium-sized Enterprises (SMEs) are the backbone of Indian economy. These enterprises are responsible for contributing about 6.11% to the manufacturing GDP and 24.63% to the total GDP from services activities. SMEs in India employ about 120 million individuals and also add about 45% to the total exports from India. However, when it comes to financing, SMEs in India are underserved. 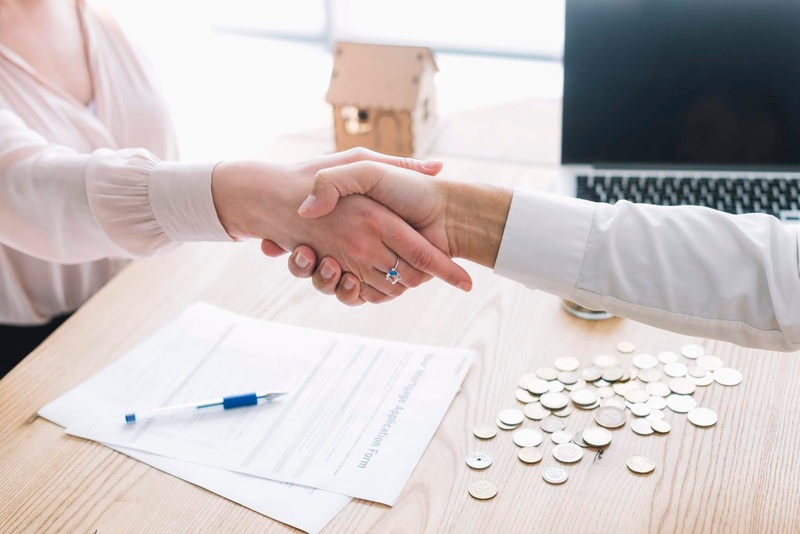 Small business owners often find it difficult to get business loans due to lack of trust that traditional lending institutions, such as banks, have. As a result, they find it difficult to expand and upgrade their business to stay competitive. Thankfully, this is no longer the case, as small business owners can get SME loans with the emergence of NBFCs and online lending institutions. Just follow this guide to SME business loan, and you will not go wrong. Before you apply for business loan online in India, it is essential you are clear about the purpose of the business loan. You should know whether the loan is taken to enter a new market, launch a new product, hire more employees, or to upgrade the equipment. Once you are crystal clear about the purpose of the SME loan, you will be able to meet the questions of the lender with more confidence. Today, most SMEs are going online to get business loans through fintechs as traditional financial institutions have a complicated and lengthy application and SME loan approval process. While eligibility criteria will vary from one online lending company to another, the basic requirements will stay the same. If you fulfil the SME loan eligibility requirement, the chances of getting the business loan approved significantly increase. So, check your CIBIL Score before you apply business loan online. This score is a reflection of your creditworthiness. Make sure your financial records are up-to-date. Or you may need to furnish it. When you take an SME loan, you will need to repay the principal amount and the interest. Hence, make sure that the interest rate is attractive and will not hurt your business. Some lending institutions offer collateral-free loans to SMEs that have a turnover of more than INR 10 lakhs. It is good news for you if you fall in this bracket. Most lenders, be it offline or online, charge a nominal percentage as processing fee. The fee varies from lender to lender and can range anywhere from 1% to 3% of the loan amount. There could be other charges that lenders may levy. So, before you sign on the dotted lines, make sure you find the total cost of getting the loan. In short, you are advised to consider the APR instead of just interest rate. Lenders usually deduct the processing fee and other charges from the loan amount before disbursal. So, be aware of the amount that will come into your bank account. Also, find out whether you have to pay a prepayment penalty for partial or complete payment of the loan before the end of the tenure. A reputable lender will not charge a prepayment penalty. You are running a business and there will certainly be times you face a cash crunch. During such times, if your money goes into paying the monthly instalments for the business loan, it will severely pinch you. Hence, ensure your EMI to income ration should not exceed 25%. Anything higher will be a risk. Make sure the monthly instalments are affordable and you can easily make the payments without delay. It will help you close the SME loan account without any hassle and also maintain your credit report. Many different factors come into play when lenders have to sanction an SME loan. They will delve into your customer base and if one of them has a poor reputation or credibility, lenders will hike the interest rate as your business becomes a risky prospect. Also, you will end up get merely 60 to 70% of the loan amount compared to a small business that has a stellar reputation in the market. So, make sure before you apply for SME loan online, you clean up the image of your company and get rid of outstanding debts. Your business should be stable and you should maintain proper records of financial transactions. And now that you know various things to consider before applying for an SME loan, you can make a sound and informed choice.